Update: Apparently this happened in June and I completely forgot it was already official. Possibly because DC/WB/Zack Snyder have never officially confirmed it, even though all the trades have. Given how many sites are reposting this news, I'm gratified to discover I'm not the only one who forgot. 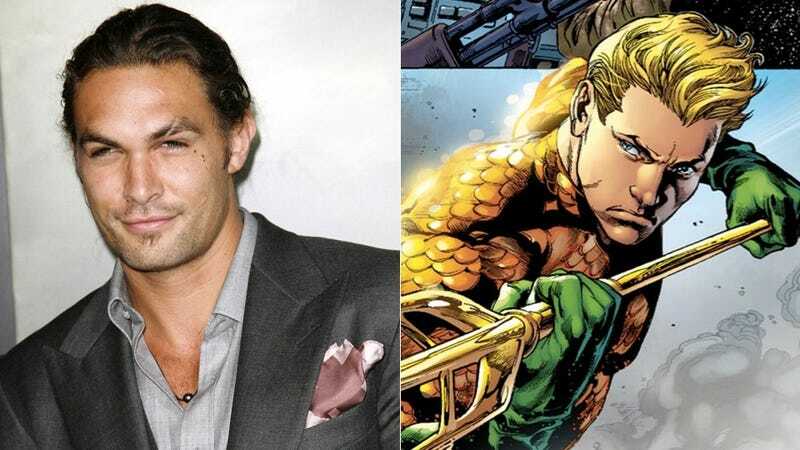 Original article: It's been rumored for a while now, but Variety is reporting that Khal Drogo Jason Momoa has officially signed on to play DC's king of Atlantis in Batman V. Superman: Dawn of Justice, and, presumably the Justice League movie after that. I'm going to call that a more than fair trade.